The upcoming Hauoki: Unmatched in the End of Edo Record, that will be released next year, appears to be similar to the popular game of Dynasty Warrior. The Hakuoki series from Idea Factory will be shifting its gameplay to a new direction. As seen in Dengeki PlayStation, Hakuoki: Unmatched in the End of Edo Record will be played like the famous Dynasty Warriors with Hakuoki’s original characters. The game was set during the Boshin War and players will have to defeat an army in musou record mode. Hakuoki: Unmatched in the End of Edo Record features original characters and a made-for-the-game scenario in this mode. The game also gives players a chance to play as their favorite character from the its anime series except for Chizuru. This Hakuoki game was created to fit those who will play the game for the first time. It will have a flashy action scenes that only required simple controls from the gamers. While this is a “Musou” game, Tecmo Koei are not tied to it. The developer of Hakuoki is the same devs of Class of Heroes — Zerodiv. 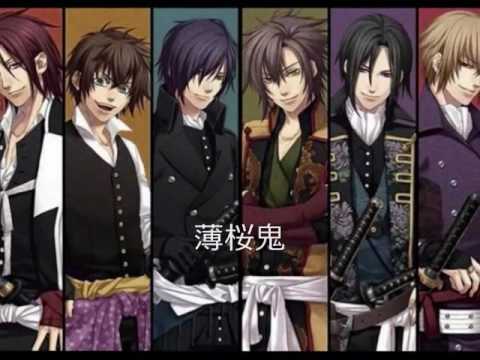 Hakuoki: Unmatched in the End of Edo Record is set to be released for PSP on February 2012.